The Supreme Court on Thursday allowed the New Delhi Municipal Corporation (NDMC) to e-auction the Taj Mansingh hotel in Delhi’s Lutyens zone. Once managed by the Tata Group and now run by the Indian Hotels Company (IHCL), the apex court also asserted that if the Tata Group loses the e-auction then it will have to vacate the premises within a period of six months. Earlier in March, Delhi Chief Minister Arvind Kejriwal, who is a member of NDMC, announced that an open auction of Taj Mansingh Hotel would be done. The Supreme Court, earlier in November 2016, had ordered that the status quo with regard to the Taj Mansingh Hotel be maintained and issued a notice to the NDMC to reply to the plea against the auction of hotel. 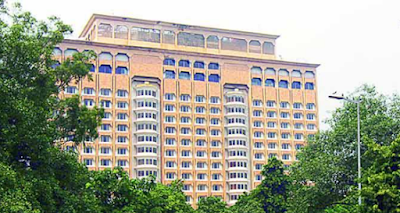 The Ministry of Home Affairs had supported the NDMC’s decision to auction Taj Mansingh Hotel, and also to terminate Hotel Le Méridien’s licence, and observed that the private “companies cannot exploit good relations with government”. The Centre had in 2015 set up a three-member fact-finding committee, headed by then joint secretary (MHA) KK Pathak. The panel recommended a CBI probe against Le Méridien that was approved by Union Home Minister Rajnath Singh. The findings of the committee also led to differences of opinion between former home secretary LC Goyal and the then additional secretary (MHA) Anant Kumar Singh. Both were transferred out of the Home Ministry. Former NDMC chairman and UT cadre IAS officer, Jalaj Srivastava, was at the centre of the CBI probe. 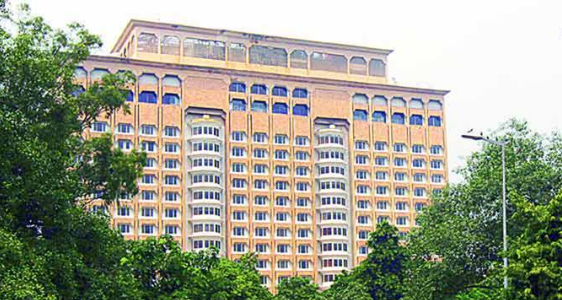 New Delhi Municipal Corporation (NDMC) to e-auction the Taj Mansingh hotel in Delhi’s Lutyens zone. Once managed by the Tata Group and now run by the Indian Hotels Company (IHCL), the apex court also asserted that if the Tata Group loses the e-auction then it will have to vacate the premises within a period of six months.